Supplying you with everything you need for a successful stay, Courtyard Memphis East/Park Avenue boasts superior guest rooms and services. After an action-packed day of experiencing the sights and sounds of Memphis, return to spacious guest rooms featuring plush bedding and complimentary Wi-Fi. Enjoy continued connectivity when you head down to the lobby to relax, work or dine at The Bistro - Eat. Drink. Connect. , open for breakfast and dinner, which features plenty of space to gather with friends, family and colleagues. During downtime, keep up with your workout routine in our well-equipped fitness center and enjoy access to our refreshing outdoor pool and indoor whirlpool. Located in East Memphis, we are just a short drive from Mike Rose Soccer Complex, GameDay Baseball, University of Memphis, Memphis International Airport and downtown attractions. 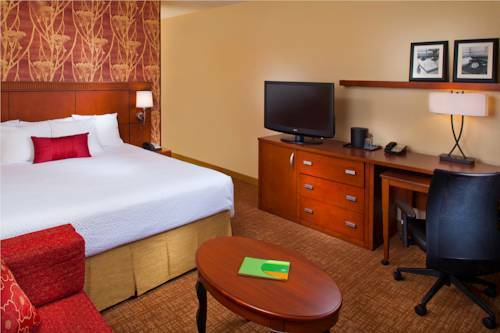 Whether heading to town for a business trip or to make lasting family memories, expect a better stay when you book at our hotel in Memphis, Tennessee.